The Computer Science Lab was looking for a way to represent university art to make their space more relaxing and tranquil by bringing nature indoors. 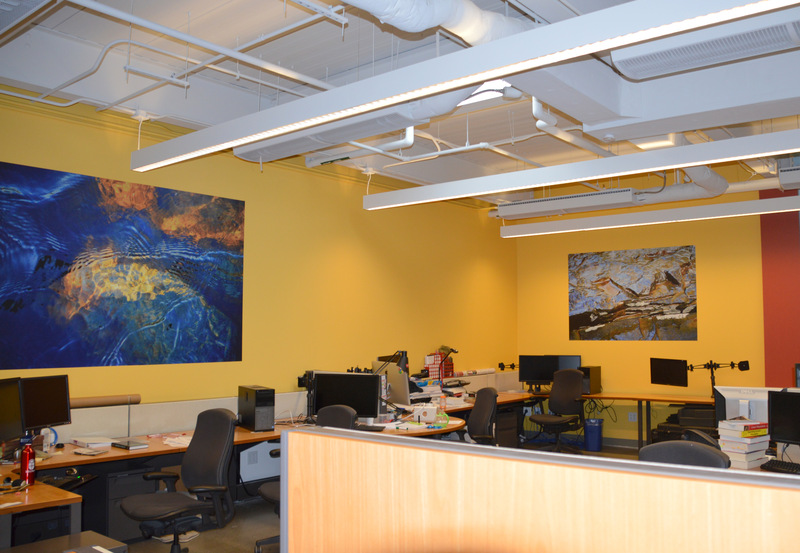 Three of Helena’s images were printed as panels and installed with the intention to create a more harmonious space to learn and spark creativity for the students and faculty. The Gates Hall at Cornell wanted to bring some color and nature to their computer lab. 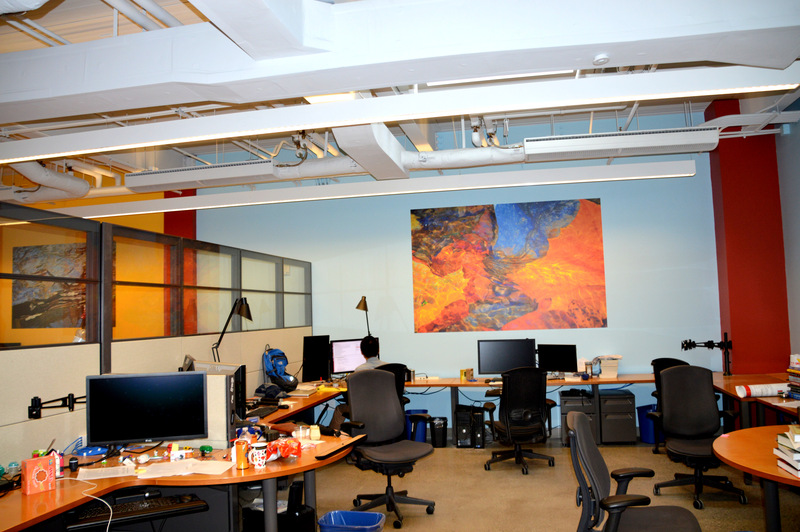 These are very large panels applied to the walls and were strategically placed.